I am trying to follow Need help to set PWM frequency to 25kHz and generate the same 25khz on pin 8 of arduino mega which is controlled by TIMER 4; I dont see any success; could someone please help? [optional] if you wish to reuse the stock analogWrite(), make sure that roll-over count calculated in 3) is a valid data type for the stock analogWrite(). If not, increase the prescaler in 3) until it is. edit: i decided to give it a try. 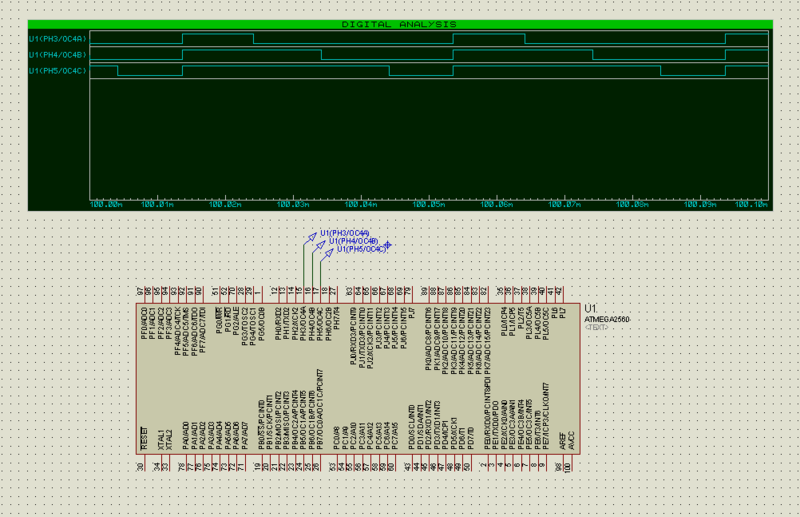 produced the following output on an ATMega328p's TIMER1. i'm reasonably sure that the output is indeed 25Khz. the code itself however is capable of generating pwm at other frequencies. pwm4Set() is a copy of pwm1Set(). Both are simple enough: only 5 lines of code used. 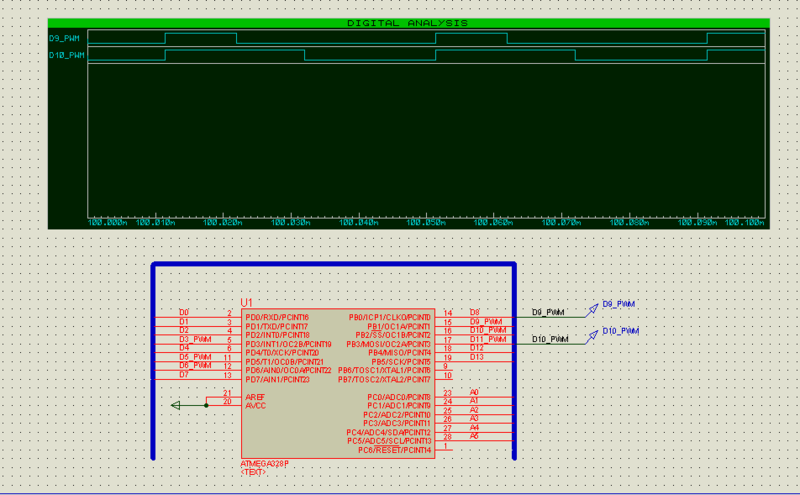 // Set the PWM pin as output. Not the answer you're looking for? Browse other questions tagged pwm or ask your own question.